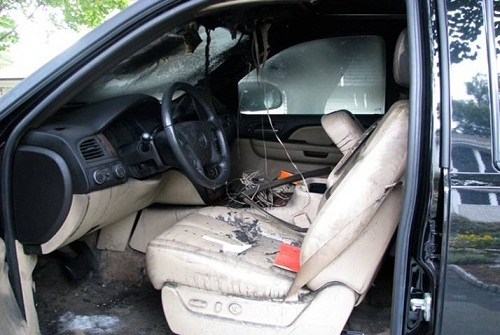 A family left their iPhone charger plugged into their vehicle outlet. The outlet overheated and started a fire while parked in their garage. The family was safe because the fire started around 11pm, right before they went to bed, and it didn’t spread to the house. 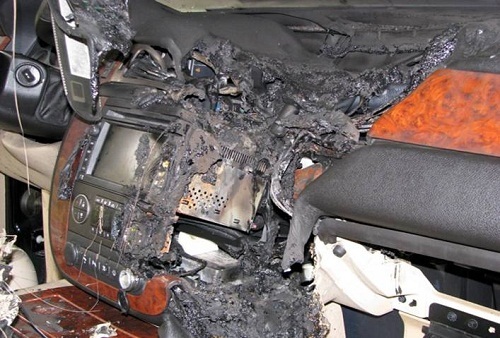 Moral of the story: Make sure to check your smoke detectors and replace the batteries… and don’t leave your phone charger plugged in your car! 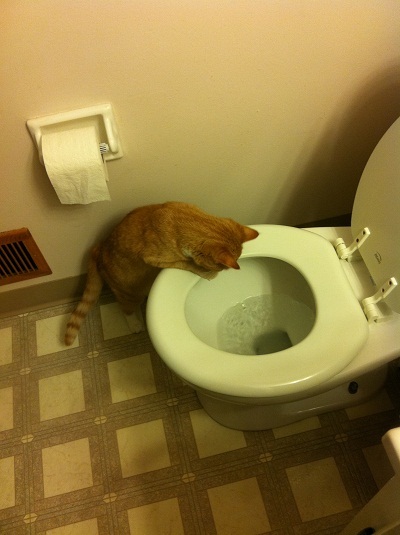 On a lighter note, Lily is highly amused with the toilet. Random! I hope everyone has a great weekend. Pittsburgh is due to get some snow, but I think I’m going to be celebrating Valentine’s Day with Jimmy on Saturday! We are probably going to go to Pittsburgh’s Aviary, see a movie, and grab a bite to eat. Are you doing anything fun this weekend?! I’m running a 12K tomorrow morning. In fact, in 12 hours, I’ll be on mile 3… wish me luck! Hope the snow isn’t too bad for you guys and that you’ll have fun celebrating V-Day with Jimmy. That’s really scary about that family’s car. I’m glad they caught it before it spread to the house and someone got hurt. How sad! I’m glad everyone is okay though. Have fun this weekend with Jimmy! I always see these cautions on chargers and what-not saying don’t leave them plugged in. I never really understood why. Wow! Oh my gosh that’s so scary! Good thing everyone is okay. I definitely will make sure my charger is unplugged! Im about to go check our car.. its better to be safe than sorry! Wow I’m actually notorious for doing this but not anymore. I’m like super scared ha! WOW. That’s very scary about the phone charger. I had no idea! Oh wow! I had no idea leaving a charger plugged in could do that! Thanks for the warning! omg!! Thats just scary bc I ALWAYS leave my iphone charger in the car plugged in!